"Blood Magic is a spellbinding sword and sorcery tale ... the first book in what looks to be a fantastic fantasy series." With the power of her blood magic--a dark sorcery even she does not understand--Kirin avenges her twin sister's murder. Alone, except for the grotesque but loyal creatures she can create from souls and dead flesh, she fights to survive. When the inhuman Mor crawl up from their underground world to wage war, Kirin serves as scout and archer--and finds comfort in the arms of Jazen Tor, a sergeant in the Imperial Army. But it is beautiful, gentle Lia Cho, who can call lightning from the sky, who teaches Kirin about herself. Even with Lia as an ally, Kirin must still confront the hatred of her own kind and, together, they must face the seemingly invincible Mor. "Takes the familiar vengeful sword and sorcery tale and breaths fresh new life into it..."
"Once I started reading I found myself unable to put the book down as Kirin's past and present rushed toward each other in a story that simply demands to be read." 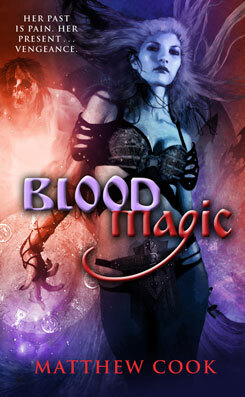 "Blood Magic is a must read for any fan of fantasy or horror. However, don't expect a book which simply follows genre conventions. Like [its protagonist] Kirin, this novel is far more than it seems. And like Kirin, you'll come away from this story wondering about the price paid for doing dark deeds-even when they are done for the best of reasons." Matt lives and works in Columbus, Ohio. 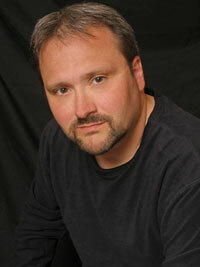 His second book about Kirin, Nights of Sin, was published in September 2008 by Juno Books.